Amazing but true! Hard water from your tap is better drinking water than most bottled waters because hard water is full of healthy minerals. When drinking water from the tap is properly filtered, it is as good, or better, than expensive bottled mineral water! But many people don’t like the taste of hard water., so they spend thousands of dollars per year buying bottled water that isn’t as good for their health. The main complaint people have about hard water is that it tastes bitter and chalky. Hard water will taste chalky when it has a lot of calcium carbonate in it, because calcium carbonate is chalk. The best drinking water is ionized alkaline water because it contains the highest amount of essential minerals, tastes better, and it hydrates better than plain water. Distilled water (or reverse osmosis water) contains no minerals, so it’s not good to drink it on a daily basis. In fact, distilled water is hungry for minerals. According to the World Health Organization, it may actually dissolve minerals from your body when you drink it. If you have a distilled water or reverse osmosis system, you can make your water healthy by adding minerals to it. Most Plentiful: The main minerals found in drinking water are calcium and magnesium. In fact, calcium carbonates and magnesium carbonates are responsible for those chalky, white hard water deposits you see building up on your faucets and appliances. Some, but not all, tap water also contains sodium and/or potassium. Trace minerals: Other minerals are present in your water, usually in much lower quantities. Minerals like copper, iron, zinc, phosphorus, and manganese. The trace minerals found in tap water are beneficial to your health too, but they’re often filtered out of bottled water completely, so you won’t get them. Unfortunately, along with the healthy minerals, there’s lots of stuff in your water you don’t want to drink. Chlorine and chloramines are added to all drinking water in the US. Additionally, there are harmful byproducts of chlorine and chloramines like haloacetic acids. Fluoride is added in some areas, which provides no benefits for adults, and may lead to conditions like skeletal fluorosis. If you live anywhere near coal, oil, or gas mining or drilling, your water may also contain significant amounts of heavy metals, radioactive particles, and other unknown toxins. For your safety, you should find out what’s in your water supply before you start drinking it. You can get that information from the annual water quality report filed by your local water authority with the EPA. The World Health Organization recommends that you get between 10 – 20% of your daily needs for minerals from drinking water. The WHO recommends this because your body absorbs minerals 30% faster and easier from water than it does from food. According to the FDA, adults need to get 1,000 mg of calcium, and 400 mg of magnesium per day. This means that you should get between 100 – 200 mg of calcium, and 40 – 80 mg of magnesium per day from the water you drink. Unless you have hard water, you probably don’t get enough minerals from your drinking water. If you have hard water, it’s very easy for you to get adequate amounts of calcium and magnesium by drinking your hard water because hard water is loaded with minerals. But many people with hard water refuse to drink it, because it tastes bitter and chalky. The reason hard water tastes so chalky? calcium carbonate is chalk! How to fix taste of hard water: There’s an easy way to fix that. A water ionizer will turn your hard water into alkaline water, which will make your water taste better – a lot better. 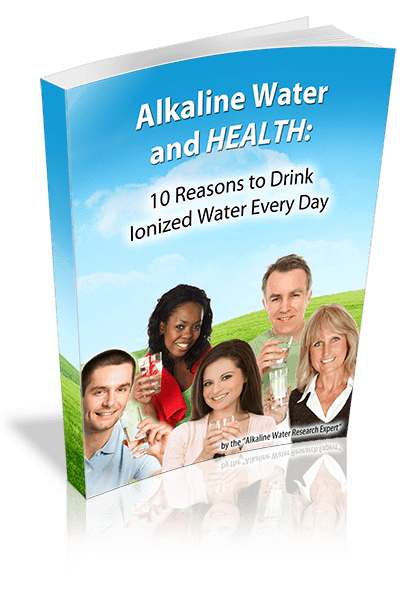 Alkaline water from a water ionizer tastes slightly sweeter and a lot more refreshing than ordinary water. It tastes a lot better than ordinary hard water! Water ionizer: A water ionizer will turn your water into healthy alkaline water with antioxidant potential, and make your water taste great. Pitchers are an economical way to get healthy drinking water straight from the tap. 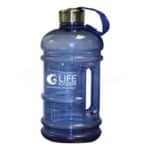 The Pitcher of Life takes it a step further than ordinary filter pitchers, it adds minerals to your water, and raises the pH. Pitchers aren’t a good choice for families however, because they only produce water in limited quantities. Reverse Osmosis is needed if you live in a state where oil, coal, or gas extraction takes place. Fracking, drilling and mining have a horrific impact on water quality, so ordinary filtration isn’t enough. Reverse osmosis systems remove 99%+ of all contaminants from your water, but also removes all the minerals from it. Reverse osmosis water must be remineralized to make it healthy to drink. 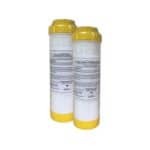 Life Ionizers has remineralization cartridges for RO systems. 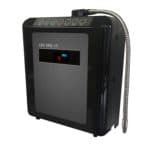 Water ionizers: The ultimate in health and taste, a water ionizer turns your water into alkaline water with antioxidant potential. You can run a water ionizer with a reverse osmosis system when you remineralize the water. Water ionizers with reverse osmosis are a popular choice for doctors and health clinics looking to use alkaline water in a clinical setting. Water ionizers concentrate the minerals in drinking water so you get more minerals in every glass of water you drink. The ionization process also converts the mineral carbonates in drinking water into mineral hydroxides, which are easy for your body to absorb. These mineral hydroxides give alkaline water it’s superior acid-fighting alkalinity, and antioxidant potential. You can actually taste the difference: Alkaline water from a water ionizer tastes slightly sweeter and more refreshing than plain water or bottled water. Takeaway: Water from a Life Ionizer tastes better – and is better for you – than the water you’re drinking right now – guaranteed. Pehrsson, Pamela, Kristine Patterson, and Charles Perry. “The mineral content of US drinking and municipal water.” . US Department of Agriculture, n.d. Web. 12 May 2014. <http://www.ars.usda.gov/SP2UserFiles/Place/12354500/Articles/NDBC32_WaterMin.pdf>. World Health Organization, . “Nutrients in Drinking Water .” WHO | Nutrients in drinking water. World Health Organization, n.d. Web. 5 Jul 2013. <http://www.who.int/water_sanitation_health/dwq/nutrientsbegin.pdf>.